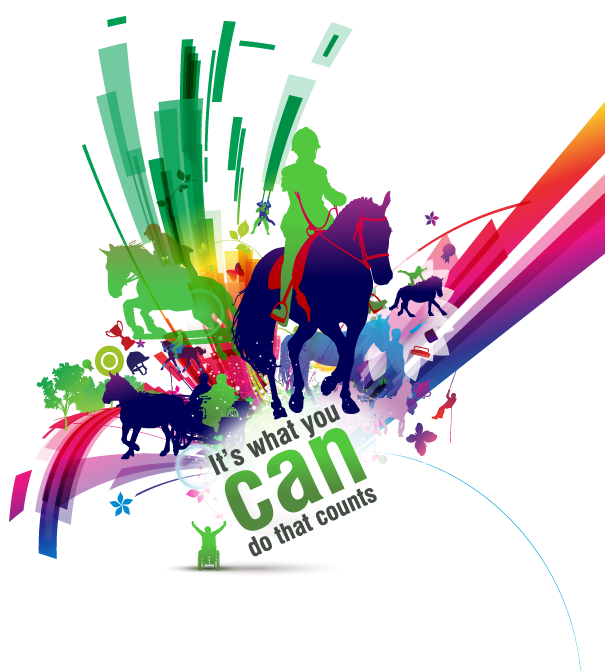 RDA is run by 18,000 volunteers who give their time to our centres all over the UK – and we always need more. With the support of people like you, investing a couple of hours each week, we can continue to provide our life-changing activities and increase provision to include the thousands of people who are currently missing out. Whatever your skills, you will have something to offer RDA – and it’s not just about horses and ponies – there are plenty of other jobs that need to get done and you’re bound to find a role that suits you. If you wish to volunteer with Godstone Group RDA we will be delighted to hear from you. Please contact us. The Godstone Group, like any RDA group, would not exist without the help of its many volunteers. The majority of volunteers assist with the provision of riding sessions, but help is also needed in other areas such as fundraising. The Group welcomes new volunteers. No previous experience is required as training will be provided. Experience with horses is not a pre-requisite - willing volunteers can bring all sorts of skills to the group. - RDA requires that all volunteers must hold a RDA Volunteers Basic Training Record Card. Groups must issue a Record Card to every new volunteer as soon as they join the Group. The volunteer must complete the front of the card, the associated training and introduction to the Group before undertaking any RDA activities. Each Group is individual and volunteer training will be tailored to meet the needs of the Group. Volunteers must not undertake duties for which they have not been trained and for which training details have not been logged on their Record Cards. Training courses are run at Group, County and Regional levels and volunteers are expected to attend at least one training course per annum to keep their cards up to date. - Volunteering at riding sessions involves preparing both horses and riders for riding. In the case of horses this may involve bringing a horse from the stable, grooming and tacking up. There will always be a helper to lead the horse, whilst some riders may need an additional one or two side walkers to assist them. There will always be an instructor who runs the session and helpers will assist riders with the instructions they receive. At the end of a session volunteers un-tack horses and return them to stable or paddock. Volunteering is a very rewarding experience. It is a satisfying way of taking exercise, helping people and being involved with the wider community. Do I need to know anything about horses? No. RDA provides training for all its volunteers depending on the role you undertake. RDA Groups provide ongoing training for their volunteers on an annual or quarterly basis. Not necessarily. RDA has many different types of roles, most of which don’t require any experience. Of course, if you do have skills you’d like to share with us – we’d love to hear from you! Can I volunteer outside normal working hours? Yes – Godstone Group offers sessions at weekends or in the evenings. Godstone Group offers RDA activities during term time on a weekly basis, so being able to commit to helping at a regular session would be great, but everyone understands that’s not always possible. Volunteers have to be 12 or over. There is no upper age limit. Yes. All RDA Groups have Trustee Indemnity, Public Liability insurance for all volunteers. Volunteers aged between 12 and 90 also have Personal Accident insurance (with some restrictions for those aged between 80 and 90. Will I be asked to complete a Disclosure check? All volunteers actively involved with RDA sessions are required to undergo a disclosure check as they volunteer with vulnerable adults and children. Will volunteering at RDA help me find a job? 73% of employers would employ a candidate with volunteering experience on their CV over one without.